The home gardener's favorite holiday is Sneak Some Zucchini onto Your Neighbor's Porch Day this Wednesday, Aug. 8. If you should find yourself with a pile of summer squash on your porch, or if you surreptitiously dump your bounty at your neighbors' only to find another dozen squash have grown overnight, here are five ways to make the best of this prolific summer vegetable. These savory muffins are a healthful treat, packed with flavor. Made with spelt flour and yogurt, they're studded with raisins and pine nuts and topped with Parmesan. 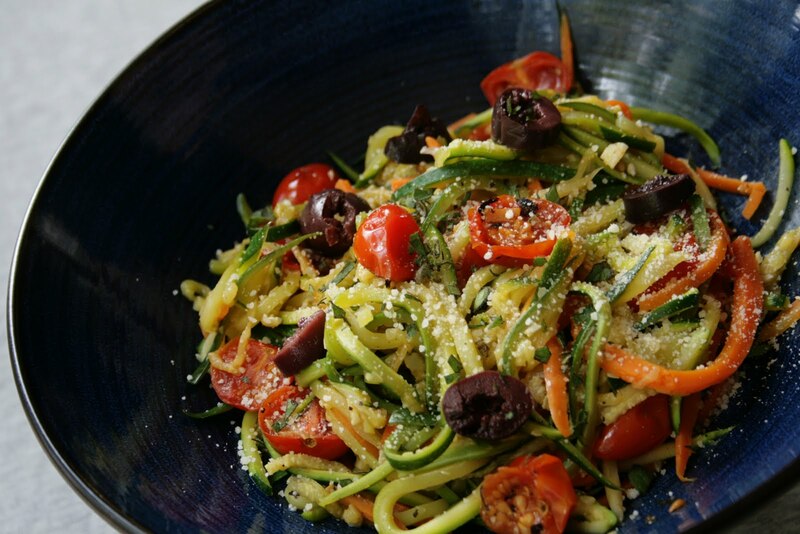 Lighten up dinner with this summery faux-carb take on pasta. It's a quick and easy way to use some of the most reliable vegetables in a home garden: zucchini, cherry tomatoes, and fresh herbs. 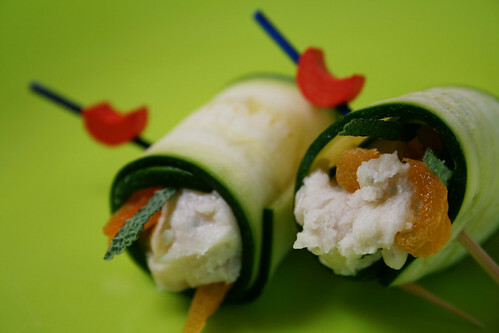 A creamy white bean and blue cheese spread becomes finger food when it's rolled up in zucchini ribbons. Dress up a quick meal of mac-n-cheese from a box with a bit of protein and garden-fresh vegetables. This is another faux-carb pasta — it's melt-in-your-mouth goodness, lovely on its own or paired with heavier fare. 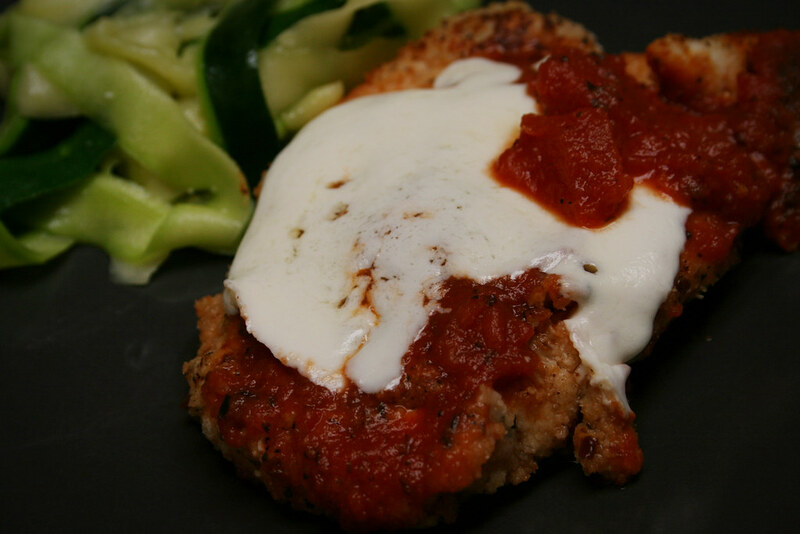 Pictured here, the ribbons of squash are a background supporter to chicken parmesan, but they really deserve to be front and center on their own.